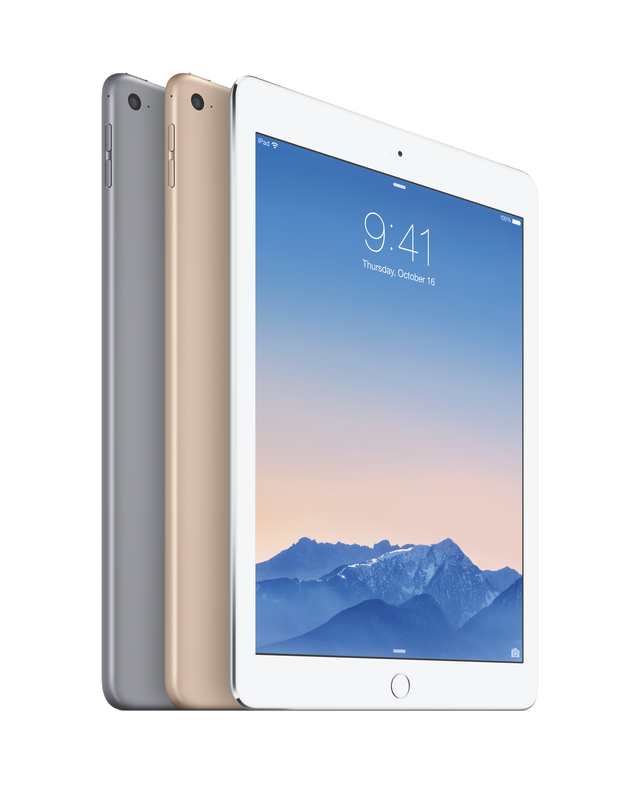 With the 4-inch Retina display and in five colors, it's unputdownable. The 5th generation iPod touch is the best iPod touch ever made, despite sporting an outdated processor and a low RAM. 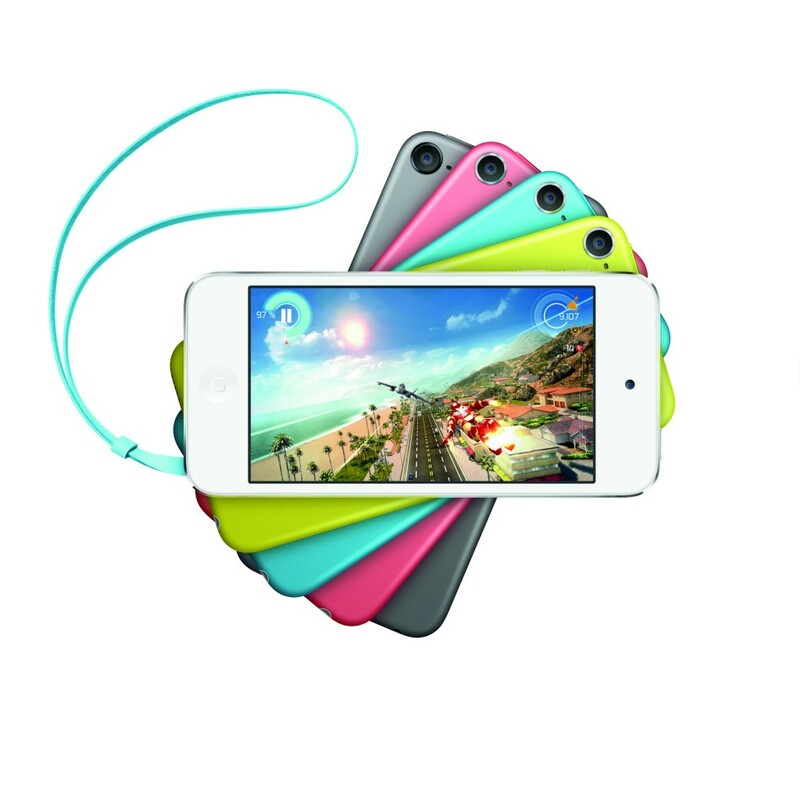 The 5th generation iPod touch in a variety of colors. Photo from Apple. Eight years ago, the original iPod touch was introduced by Steve Jobs to the world. 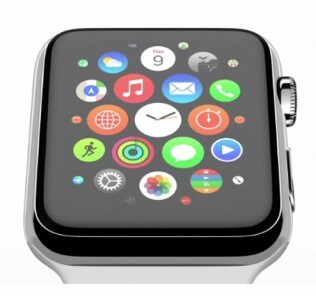 It was touted as the “training wheels to the iPhone”, a coined term by the late former Apple CEO. True to his word, the iPod touch was very much similar to the iPhone – it simply lacks cellular features. The touchscreen revolution started by the iPhone was heralded to be on iPods, and the iPod touch is the answer to the consumers’ dream of a touchscreen music player. Seven years has passed, and the iPod touch has already come a long way to become a versatile and all-in-one media player. The iPod touch is already in its fifth iteration since its inception, and it comes with the best features on any portable media player on the market today. Simply put, the iPod touch started as an all-in-one portable media player: it revolutionized music, movies, and TV shows on the go, and it also became the most popular go-to portable game console on the planet. 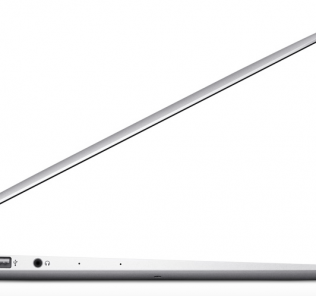 In its 5th generation, it has improved on its core features. The iPod touch comes with iOS 8 pre-installed, the latest version of Apple’s proprietary mobile operating system. For most people, iOS 8 is a love-or-hate kind of thing. But this iPod runs iOS 8 as smooth as butter, with no lags or stutter whatsoever. The buttery-smooth navigation on the iPod touch is also made possible by the dual-core Apple A5 system-on-a-chip processor, clocked at 800 MHz – slightly lower than most iPhone CPU frequencies of at least 1 GHz. It is also equipped with only 512 MB of RAM, similar on the iPhone 4. The RAM may be low as per today’s standards, and its processor may seem outdated as the A5 was first introduced with the iPhone 4S, but it proves itself enough to run iOS 8 smoothly. The current generation iPod touch also boasts of a high-resolution 4-inch Retina Display at at resolution of 1136 x 640 pixels, similar to the ones on iPhone 5, 5s, and 5c. 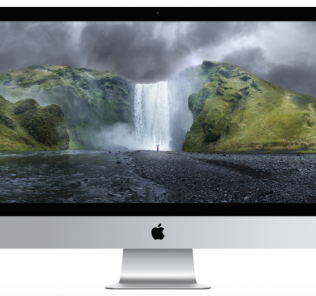 The screen also features in-plane switching (IPS) technology, enabling the screen to be seen at greater angles without color shifting. The contrast ratio of the iPod touch is slightly lower than those on the iPhones, at only 800:1, but this doesn’t prove to be a deal-breaker as the iPod consistently produces sharp images with pleasing contrast levels. The screen is also fairly bright, with a brightness rating of 500 candelas per square meter. The screen’s brightness will suffice for the screen to be read comfortably in bright sunlight, although you may need to set the brightness to its maximum setting. The 5th generation iPod touch in yellow. Photo from Apple. The iPod touch camera is a 5-megapixel backside-illuminated shooter with autofocus and auto white balance, able to shoot 1080p HD video at 30 frames per second. Photos shot with this camera are very good, though not at par with the photo quality found on iPhones. HD video is also smooth thanks to the built-in digital image stabilization to help reduce shaking effects. There is also a front-facing 1.2-megapixel FaceTime camera capable of capturing photos at 1280 x 960 resolution, and 720p HD video at 30 frames per second. The FaceTime camera shoots photos and video quite well, and is an excellent camera for video calls over FaceTime and Skype. iPod touch stands proud to be the best music player on the planet. The audio quality from this iPod is very good, thanks to the newly redesigned Apple EarPods that delivers significantly better audio compared to the previous iconic iPod earphones. These earphones claim to be rivaling most in-ear headphones of a higher price point. True enough, these headphones deliver to their claim. The iPod touch also has a built-in speaker, but don’t rely on these for your music as they sound tinny and lacking bass. As the best portable game console on the planet, the iPod touch exceeds expectations when it comes to gaming. It has full access to over 1 million apps on the App Store, including hundreds of thousands of games. Every game pops on the beautiful Retina Display. The A5 chip promises to deliver up to 9 times better graphics performance than its predecessor, creating immersive experiences for every gamer. The 5th generation iPod touch comes in three storage configurations: 16GB for $199, 32GB for $299, and 64GB for $399. Both 32GB and 64GB variants come with the iPod touch loop for free, while the 16GB variant doesn’t come with the loop. For the light user, the 16GB model will suffice. But if you are a heavy user with a large music and video library, and if you expect to install many apps, the 32GB and 64GB variants will fit your needs. Jony Ive and his design team made a great job in designing the 5th generation iPod touch. 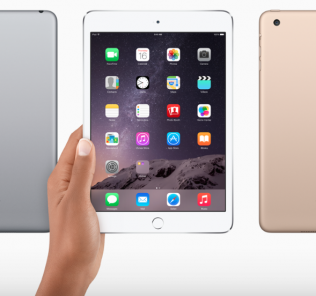 The iPod touch shares commonalities with the design of the iPad mini and iPhones 5 and 5s with its unibody anodized aluminum construction and seamless integration of the Retina display and the chassis with its diamond-chamfered edges. The clean lines and smooth surfaces running along the iPod’s chassis clearly defines the precision and craftsmanship of its industrial design. This is the thinnest iPod touch ever made, measuring at only 6.1 millimeters thin. Apple managed to fit all the electronics and a 1,030-mAh battery, enough to power the media player with up to 40 hours of continuous music playback or 8 hours of video playback. 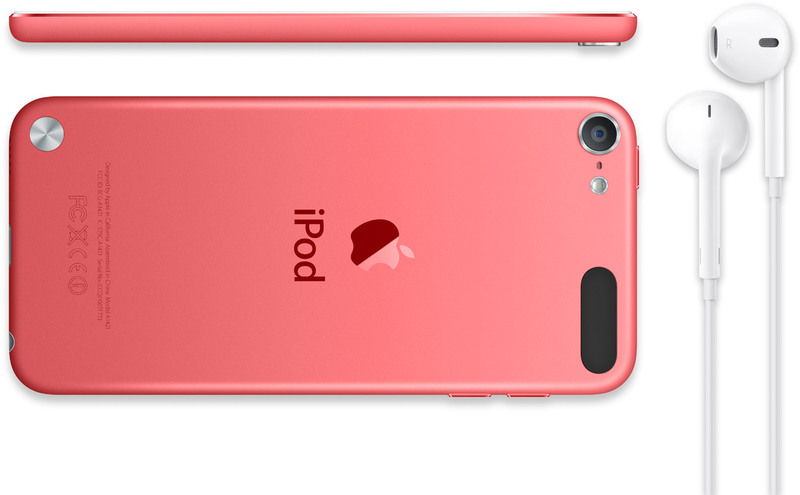 The 5th generation iPod touch in pink, along with the new EarPods. Photo from Apple. Along the left side of the iPod touch is the volume rocker. The wake/sleep button is found on the top side, and the bottom side bears the 3.5-mm headphone jack, the Lightning connector, and the built-in speaker. A first for any iPod touch, a small round button is found on the bottom left part of the iPod’s backside. This is called the loop button, which is the attachment to the iPod touch loop – a wrist strap for the 5th generation iPod touch that is separately sold. When this button is pressed, it raises by a few millimeters for the strap to be attached. When pressed down, it lays flushed with the smooth aluminum surface on the backside of the iPod touch. This is useful for on-the-go use as it prevents theft and serves as a secure attachment for taking photos and videos. All models come in 5 different colors: space grey, silver, blue, pink, and yellow. It’s a first for the iPod touch to come in colors. All colors except space grey comes with a white-colored front glass panel, as the space grey colored iPod comes only with a black front glass panel. On the back of the iPod touch is a polished Apple logo together with the iPod insignia below it. It makes for an elegant touch, as the polished surface shines when light reflects on it at the right angle. The latest iteration of the iPod touch is the best iPod touch Apple has ever made. With its top-notch build quality, elegant materials like aluminum and glass, and amazing features, the 5th generation iPod touch is the best choice for those who enjoy their vast collection of music and video.If you want to experience iOS 8 without breaking the bank on an iPhone, this is the way to go. Though the price point might be higher than expected of its size and features, it offers hours and hours of fun for the best portable entertainment.